Made from pure titanium, these vibrant pink color are extremely light and comfortable to wear. Since there is no plating on these earrings, it will not cause any skin irritation, making it truly hypoallergenic. 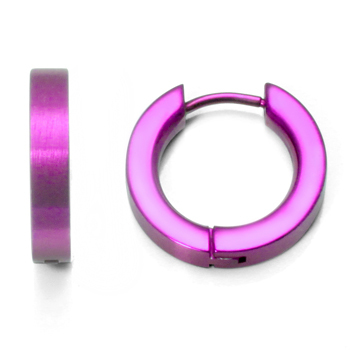 With both the posts and hinges being electrically anodized in pink, you know you are buying a pair of 100% pure titanium earrings because only pure titanium can be anodized. We strive to produce jewelry of the highest quality, you can rest assured that the purity of the metal in our jewelry is always guaranteed.